Parola-proteja fișierele și directoarele de a fi văzute, citite sau modificate. 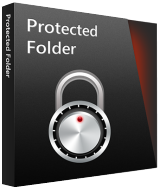 Protected Folder este conceput pentru a proteja prin parolă foldere și fișiere de a fi văzute, citite sau modificate. Acesta funcționează ca o cutie de valori, doar drag and drop folderele sau fișierele pe care doriți pentru a ascunde sau proteja în Folder Protejat, atunci nimeni nu poate vedea, citi sau modifica. Dacă sunteți îngrijorat cu confidențialitate, furtul de date, pierderea de date, sau scurgeri de date, Protected Folder este un instrument ideal pentru tine. Lockbox does this for free and has never failed to open after a windows update. Recently went from 1803 to 1809 and still worked. Also AxCrypt and FlashCrypt can do this for free. Lockbox does this for free and has never failed to open after a windows update. Recently went from 1803 to 1809 and still worked. Also AxCrypt and FlashCrypt can do this for free. Amount of times i've locked my files up and lost them because of a fault or windows update is unreal.Would never lock them away again.I keep them on a usb stick or something.Thanks anyway though. I had this once on Windows 7 or XP, and it took me months to figure how to get rid of it. I couldn't uninstall or delete it. One of the reasons that I will never allow anything from Iobit on my computers. This App offers almost no Protection - as this is true for all folder hiding apps for Windows! - IMPORTANT: Programs for file/folder protection should NEVER be from US (or being designed for the US-market) !!! - AND: ONLY real encryption will keep your data safe! 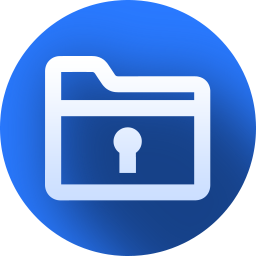 This App offers almost no Protection - as this is true for all folder hiding apps for Windows! Hints: - IMPORTANT: Programs for file/folder protection should NEVER be from US (or being designed for the US-market) !!! - AND: ONLY real encryption will keep your data safe!